Changing times require an adaptive attitude. 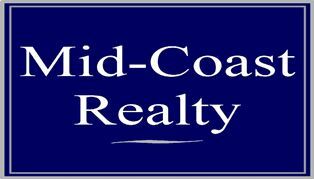 Mid-Coast Realty provides a competitive edge for our clients, the best way to face today's challenges and demands is by having the ability to change with the times. When obstacles arise, we rely on our knowledge, experience and strong negotiating skills to calmly arrive at the desired results. "We believe that service to others is the Cornerstone of the real estate business. When we respect and treat others in the same manner that we would appreciate, then we can create value as well as a comfortable and positive experience for our clients. As Real Estate Agent licensed consultant, active in the community and working hard every day to provide quality service and create value for our clients. We enjoy applying the skills and knowledge that we have attained toward helping our clients to achieve the very best possible outcome. Our commitment to you is professionals and long term clients, focusing in satisfying your Real Estate Dreams promptly and with integrity"
A team of Licensed Realtors, Brokers, Title officers, Escrow officers, Mortgage Lenders, Notary Public, In-house Legal, Home inspectors, Termite inspectors and a team of service providers...all that we are proud of. 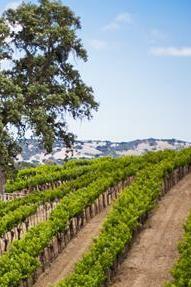 Welcome to your source for professional real estate services on the California Central Coast.. When hiring a Realtor, do not just hire a company, hire a professional. Jeri, a person who takes those extras steps, necessary for success, a person who realizes the time of the transaction is anytime the parties are ready.You have selected a Realtor with a proven record of success. R.E.O. Agent representing lenders throught the the US. A leading professional specializing in residential properties. Her focus is primarily Central Coast communities. Stacy is part of our Global Referral Network (GRN) the largest relocation network in the world. Combining award-winning technology, real estate marketing expertise, and community-based initiatives, Stacy provides her clients with sensational results while delivering targeted sales leads to home sellers. We are proud to have Stacy as part of our team. A leading professional specializing in residential properties. Her focus is primarily Central Coast & Fresno Communities. Combining award-winning technology, real estate marketing expertise, Jodi provides her clients with results while targeting sales leads to home sellers. We are proud to have Jodi as part of our team. Known for his strong commitment to providing exceptional personal and professional service, specializing in Real Estate and Investments throughout our county. From Golf Courses, Ocean View Estates, Wine Country acreage, Gated communities and Investment properties. There are many opportunities to accommodate a wide range of lifestyles in our Central Coast region. Do you have any specific questions about our real estate services? We can help you buy or sell your home with a comprehensive strategy designed for you.